I remember when this app actually worked - but no more! I cannot believe they are allowed to lie in print that print subscribers get free access via this app to their content - I mean, that's what SHOULD happen, but that's not what you get with trainwreck of an app. And when you contact customer support with a question as simple as “Why”, their answer is totally non- responsive boilerplate. SKIP THIS APP - CAVEAT EMPTOR!! Circular logins that hang. Programming "index.html fail message when the download bombs. For a consumer mag that criticizes others repeatedly then takes subscription revenue for this piece of crap should be ashamed. Don't waste your money. If there was something less than a single star rating they would get it from this sucker. UPDATE Haven’t changed my mind. Still is a piece of crap. Just like others here, I can’t get the issues on my iPad Pro. My subscription is active, and I am logged in but both the May and June issues want to charge me to download. When I try to restore purchases I get “restore purchases failed.” I can’t recommend until this issue is fixed. I am happy to report that CR has resolved the problems and I have successfully downloaded the issues and the app is now working properly. I have been a print subscriber for years. This app has worked great for years, however recently, all but 8 issues have disappeared. I tried signing out, signing in, restoring past purchases, and finally, deleting app, then signing in and attempting to restore purchases. Now, after signing in and trying to restore purchases, there are no issues. I am really disappointed. Can you fix this? Have a year subscription and the app charged me for 2 extra months and still can’t download them. Consumer reports should evaluate their own app! The quality of this app casts doubt on all their evaluation of others’ products! I am unable to access any of my past issues. When I try to restore purchases to read the magazines the app errors out. It looks like this has been an issue for several months according to these reviews with no fix in place. Please fix this ASAP. Perhaps you could have some of your reviewers review this app. This app does not work. Either fix it or outsource it to someone who knows what they are doing. Horrible app, I’ll stick with the web site access. I logged into the app (it never hangs onto my password) was informed my subscription included the iPad app but there is nothing but white space, no magazines at all! I have been a subscriber for many years and this is completely unacceptable! Just like others here, I can’t get the issues on my iPad Pro. My subscription is active, and I am logged in but both the May and June issues want to charge me to download. When I try to restore purchases I get “restore purchases failed.” I can’t recommend until this issue is fixed. I realized I hadn’t seen a new issue in a couple of months, so I did what I always do with recalcitrant magazine apps- I deleted it, put it back on, then restored. Or tried to. The restore fails every time. AND all my back issues disappeared. I called the number on the app listing in the store, and CR said I had to call Apple because they couldn’t do anything. HAVE YOU EVER TRIED TO GET HELP FROM APPLE!!?? Really disappointed that of all entities CR would let this happen. Update: talked to Apple. They say it’s the app and I need to talk to CR. Called CR and they said I need to talk to Apple. I’m done with CR after many years. Can’t log in for days, despite using credentials that work to log in to the CR site. Reset password. Deleted and reinstalled the app. Same situation. Called CR. A rep confirmed that she also couldn’t log in to my account on her iPad. And there’s no solution. My only remedy is to cancel my subscription. This is, well.....pathetic. Give CR credit when credit is due. The app was a dud. The updated app seems the be very good. Now the content has a good place to live. The problems of logging in to read a magazine seem to have been fixed. Old review: Love the content. App is a pain. You have to log in every time you want to read any content. Please fix the app. Don't download. Get CR on Zinio. The app works and customer service is great Update: 6/24/17...app is dead. Store is dead. Unable to download mags. Stay away! I realized I hadn’t seen a new issue in a couple of months, so I did what I always do with recalcitrant magazine apps- I deleted it, put it back on, then restored. Or tried to. The restore fails every time. AND all my back issues disappeared. I called the number on the app listing in the store, and CR said I had to cLl Apple because they couldn’t do anything. HAVE YOU EVER TRIED TO GET HEKP FROM APPLE!!?? Really disappointed that of all entities CR would let this happen. Can’t log in for days, despite using credentials that work to log in to the CR site. Canceling my subscription. Cannot download magazine. Get index.html error. The application does not restore purchases through the application. CR refuses to fix or acknowledge the problem. I called Apple and they said it was the app’s problem. I have tested the restore purchases issue on multiple iPad with same results. Do NOT purchase issues or subscriptions through the application you will be ripped off. Consumers reports lack of interest in fixing the application speaks volumes about their real interest in consumers. They are their ripping the customers off. UPDATE 2 May issue is out, but CR store wants to charge me $4.99, even though I’ve paid for it. Restoring Purchases still fails. The developer “fix” gave me access to only 3 issues. Subscription renews next month. No choice but to cancel. It’s too bad CR can’t fix this problem. CR app rates 1 star. Can’t escape the irony. UPDATE: CR did respond through the the App Store saying they’d made a fix. I now have access to three issues on my new iPad. Feb-April 2018. At least that gives me the new car issue! Unfortunately, I don’t have access to any of the previous issues I paid for. Restoring Purchases still always fails. Added 1 Star for the response and giving me back 3 issues. I’ll see if I actually get the May issue to decide whether to cancel. ——————————————— Replaced my iPad under AppleCare, but have been unsuccessful in restoring CR issues. Get an unhelpful error “Restoring Purchases Failed”. Can’t even buy an issue, that just displays a spinning wheel until it quits”. Reinstalled the app 2X, reset the iPad, nothing works. Contacted CR and they say, “You subscribed through iTunes, talk to Apple”. Apple, of course gives you a wizard that tells you to try the things you’ve already tried. All my other magazine apps restored just fine, so my account and payment info are fine. It’s the CR app. Not Recommended! I’ve subscribed to CR in one form or another for over 25 years. I’ll just cancel. Restoring purchases failed plus where is May 2018 CR issue? It is already several days since my iPad2 does not restore my purchased CR issues. I only can see March and April 2018 issues, not previous ones because of the failure to restore them. Also, the May 2018 issue should be available by now in the iPad2, but it is not. I’m having the same problem. I cannot see the latest issue (or any, for that matter) and I cannot restore previous issues. Spent a ridiculous amount of time with Apple and Consumer Reports. No one is taking responsibility for my problem. Just canceled my subscription out of sheer frustration! It appeared that CR had made a fix to the app and gave us the latest 3 issues. However, it still won’t allow access to older issues, wiped my library, and won’t let me get the May issue. It still won’t restore purchases. This is ridiculous for a simple mag reader app. I’ve been a CR subscriber for over a decade, and was pleased when it was available as an IPad app. I’ve been trying both through calls to Apple support and CR for weeks now to access my purchases to no avail. Unfortunately I’ll be canceling my subscription as I don’t see going back to having CR clog my USPS mailbox. Have been able to log into the app and download the last two issues. Called CR Customer Support, and they notified me that the app had been discontinued over a month ago, and that a new iPad app was in development. Release date is not available. I am now playing ping pong between iTunes and CR. I have a subscription through the App Store and iTunes is saying they can’t help “It’s odd though that the developer wasn’t able to provide you assistance with that. iTunes serves solely as the payment method. I hope you’ll consider to contact them again regarding this”. I contact CR and they say contact iTunes. I’ve had a subscription for over 4 years and I cannot retrieve any of previous purchases or download anything...my library is empty. This very frustrating to be paying and not getting what you pay for, especially from CR. I downloaded this app, and tried to create an account. It asked me for an account number, which I don’t have. The other choice was for a username and password, which you don’t have if you don’t have an account. I contacted ITunes, and they told me they can’t help me because they are just the vendor for the purchase, and don’t have the tools to solve my problem. They suggested I call the developer. So I contacted Consumer Reports, and they told me, that since they don’t have any information, it was iTunes that I need to contact. Who do I contact to get a refund on my one year subscription? I paid for the consumer reports magazine through ITunes. This method of purchase, according to CR does not obligate them to allow access to all of their complete data. You get that access only when subscribing directly from CR themselves. Now with the latest APP update, you cannot even download the basic magazine subscription or back issues paid for through ITUNES. Who’s pointing fingers at who for this latest problem. And who if any one at all, will bother to fix it. One additional problem. If you purchase a Consumer Reports subscription through the APP store, you cannot sign in to CR because you are not one of their subscribers. You cannot register because you do not have a paper subscriber number. Someone needs to fix this discrepancy at Apple or stop selling subscriptions that are impossible to use. I contacted Consumer Reports on 8 April, and the told me they no longer support the ITUNES App. They told me to contact ITUNES for a refund. The APP does not and will not work and I have not seen a refund. Each negative review get the same nonsense reply from ITUNE’s. Some day someone will get it that the app is no longer supported by Consumer reports. Tried to purchase new car issue. Won’t download. Can’t restore my old issues. Restarts, deletes , etc, do not work. I need a new whip ASAP because of the vw buyback. “Cannot start download because file is missing or invalid”. Update: I contacted Apple, they sent me to consumer reports. CR said it was apples problem, which it was obviously not.went back to Apple and, Ultimately, Apple refunded me for the 4.99 vehicle iPad issue I never got, and I canceled my online CR subscription. The irony of CR not policing their own products and lack of customer service was not lost on me. I was unable to download the latest issue and after reading all the issues in the reviews section I figured I would delete and reinstall the app. Now I’m unable to log in! I get “there was a problem contacting the server. Please try again later.” It’s been 2 weeks!! Their app is AWFUL. I get charged for a subscription but get nothing but “Restore Purchases Failed” when trying to get beyond the Feb 2018 issue. Am canceling. I’m guessing this app was written by the same company that does other apps as I’ve had this same issue with several magazine apps. Useless, login not saved! NOW "Unable to download folio"
I am a print subscriber. I got this app set up and it will log me in SOMETIMES. Update June 2016: login madness. Sign in with user name and password, then enter print subscription number and zip code, then sign out, then sign back in and maybe, maybe, you can access all your subscription issues... But usually not. The constant six step sign in process is more than annoying. Older problems: Every time I open CR in newsstand I get the "connection to the server failed" error and when I try to view/download an issue the error reads "cannot start the download because the file is missing or invalid" error. This is totally useless! I have good wifi connection but cannot read a single issue, so much for the added print subscriber benefit. Update June 2016: new error, I am subscribed to jan 2018 but app only shows available issues thru March 2016. I can't open current issues. Older update: I occasionally I can download issues but each time I open CR in newsstand I must sign out and sign back in. I just saw next month's issue in a store, but not in my mailbox and not on this app. Get this app current content! And please fix this app so a subscriber can download content. This app gets a CR rating of a black filled circle, 'poor'. I also have the android app where I can search by product and everything. The iPad app can only display print issues. Totally useless. Horrible. Can’t login. Bad navigation. Who could believe ratings when they can’t even provide a decent app. Cancelled my subscription today after seeing that my latest issue is February 2018 when March and April issues are available in the CR app’s store. Tried “Restore Purchases” twice only to see pop-up, “Restore Failed.” Deleted and reinstalled app only to experience the same issues again. Seeing all the other negative reviews, I suggest CR test their app and publish the results as they would any other product. Useless app. I will be letting my print subscription lapse. I thought I would be able to search reviews online. Not so, can't even log in. No wonder the annual buying guide is only half as thick as it used to be. And the monthly issues aren't what they used to be. The future does not look good for CR if they keep loosing subscribers. Update The customer service responded that they fixed the bug that gave the purchase fail message. I still can’t fully get it when I do it thru Restore All Purchases, but when I go to the store all my magazines can be downloaded there. And another note, it only happens on my iPad Pro. So, I am a CR customer again. I only gave it four stars because of the “purchases fail” message but at least I have a work around. I still 100% enjoy the magazine itself and it is the only consumer review service that I trust. —————- I sadly have to agree with everyone here. I travel a lot and loved the ability to read CR thru the app even if it was later than the print addition. But since the update, I can’t access anything for two months now yet they continue to charge monthly subscription. No help, can’t find any way to address the issue. I would love to continue to PAY form CR, but I will have to cancel because I can’t simply access what I pay for. Please fix and I would willingly come back. Went to download the latest magazine and found my library empty and no way to download or restore anything. Not good. Deleted the app, downloaded again. Library is empty. Like others have said, you cannot sign in because it was bought through iTunes. I did go to Consumer Reports site and sent an email to them. Hope they fix this. UPDATE: CR did respond through the the App Store saying they’d made a fix. I now have access to three issues on my new iPad. Feb-April 2018. At least that gives me the new car issue! Unfortunately, I don’t have access to any of the previous issues I paid for. Restoring Purchases still always fails. Added 1 Star for the response and giving me back 3 issues. I’ll see if I actually get the May issue to decide whether to cancel. ——————————————— Replaced my iPad under AppleCare, but have been unsuccessful in restoring CR issues. Get an unhelpful error “Restoring Purchases Failed”. Can’t even buy an issue, that just displays a spinning wheel until it quits”. Reinstalled the app 2X, reset the iPad, nothing works. Contacted CR and they say, “You subscribed through iTunes, talk to Apple”. Apple, of course gives you a wizard that tells you to try the things you’ve already tried. All my other magazine apps restored just fine, so my account and payment info are fine. It’s the CR app. Not Recommended! I’ve subscribed to CR in one form or another for over 25 years. I’ll just cancel. Renewed thru apple. Now I can’t sign in. Says authentication failed. Try to sign in and the it says server not available. Time to cancel and get a refund. I just don’t understand how it could work for two years and then I renew and it stops working. I’ve been a subscriber to CR via Apple store for many years. The app has always been confusing—for example asking for my CR user ID and password when I shouldn’t need one, since I logged in via Apple. (No other Apple magazine subscription that I have does this.) Today, the app refused to work at all. Additionally, it erased a couple of years of my CR back issues that I paid for. I called the help phone number in the app and the CR rep said that it’s all Apple’s fault—go call them. Can Apple and CR get together and fix this? I paid good money to get treated very badly. This is the second time I have had my entire library erased by the upgrade process. The app will not download any issues. Now the app is in working order. Was able to download all issues. Just bought one digital magazine and I can’t even view it. Just purchased one and now I can’t even view it. No way to refund. Don’t use. I paid for the consumer reports magazine through ITunes. This method of purchase, according to CR does not obligate them to allow access to all of their complete data. You get that access only when subscribing directly from CR themselves. Now with the latest APP update, you cannot even download the basic magazine subscription or back issues paid for through ITUNES. Who’s pointing fingers at who for this latest problem. And who if any one at all, will bother to fix it. One additional problem. If you purchase a Consumer Reports subscription through the APP store, you cannot sign in to CR because you are not one of their subscribers. You cannot register because you do not have a paper subscriber number. Someone needs to fix this discrepancy at Apple or stop selling subscriptions that are impossible to use. Link to sign in is inoperable. All of my issues disappeared after the latest update and I only get an error when I try to download now. Purchased one issue via IPAD (APPLE STORE). UNABLE TO COMPLETE DOWNLOAD. Called CR, and was informed that I should call Apple. Very long hold at Apple. No solution. Gave up after about one hour on hold with Apple. Will try to reach Apple later to cancel the purchase. Bad experience. Next step: switch to Android, and forget about Consumer Report. Can’t search. It be very dumb! Can’t access March Issue. Site does not recognize my user I’d nor email. Come on CR, don’t leave your subscribers out in the cold. Is anyone there??? Replaced my iPad under AppleCare, but have been unsuccessful in restoring CR issues. Get an unhelpful error “Restoring Purchases Failed”. Can’t even buy an issue, that just displays a spinning wheel until it quits”. Reinstalled the app 2X, reset the iPad, nothing works. Contacted CR and they say, “You subscribed through iTunes, talk to Apple”. Apple, of course gives you a wizard that tells you to try the things you’ve already tried. All my other magazine apps restored just fine, so my account and payment info are fine. It’s the CR app. Not Recommended! I’ve subscribed to CR in one form or another for over 25 years. I’ll just cancel. Can’t load any issues past March of 2017. Consumer reports said to call Apple and Apple says to contact Consumer Reports. I wonder what rating CR gives itself? From the other reviews Apple should remove it if it doesn’t work and CR should refund everyone. This is the second time I have had my entire library erased by the upgrade process. The app will not download any issues. Although CR creates useful reports, their mobile app, website, and underlying system/database are incredibly poor (and I’m being kind). It is impossible to remain signed in while using the app, it does not properly recognize that you are subscribed, you cannot manage your account, and on and on. If you are into frustration, then this is the app for you. If it were possible to give negative stars I would do so. I have a subscription paid for in August 2017 for 1-year. It is now Feb. 2018 (6 Months into the subscription) and there is nothing showing in the app. I go to restore purchases and it errors out. I tried multiple times with the same result. I verified the Apple subscription was still active. I finally cancelled the subscription but guess what, no refund, they get their money and I have a useless remaining 6mos. that I can’t use or access. Nothing but aggravation with this terrible app. Can’t download issues, my library was inexplicably deleted, and error messages keep telling me that I’m not connected to the Internet (I am). CU should be embarrassed by the irony of such abysmal quality of this app, considering its mission of protecting consumers from low quality goods. This is not new - the app has sucked for quite some time now. I am a print subscriber and have tried for days to log into this app. There is some old, unrecognizable email address that I cannot change even though there is a link that is supposed to allow you to do that. Only recourse is to call them but I really just don't care anymore. It shouldn't be this hard. 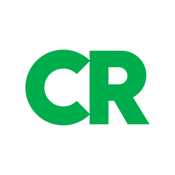 I’ve subscribed to CR both through iTunes and by buying a digital subscription through CR. In both cases I’ve had multiple problems with the app recognizing my purchases. I’ve tried reinstalling and restoring purchases nothing works easily one of the top three worst apps I have. I have read CR on this app for years but this month it will not download. Is there an alternative for this besides hard Copy? Vers. 32.6.14 does not allow the magazines to be downloaded or read. All the magazines I previously downloaded are now unavailable to access. An error message appears each time I attempt to read or re-download. You pay for the app. You try to access it - via the app. The app insists you input your user name and password. Okay, you play along and say forgot password and enter your email. CR response - “No account registered” There goes $25.00 I’ll never see again! What a frigging rip off! Should be minus stars. Can’t even download issues even though they are paid for. You'd think a consumer organization would do better. I have to log in again every single month to get the ipad copy of the magazine, to which I have a print subscription. The app forgets my password -- every time, so I have to change it --every time. Then it asks me for my account number and zip code, so I have to dig up a copy of the magazine -- every time. Clearly, no one from CR ever reads these reviews; if they did they'd realize what a godawful app they have. If I could give this app zero, or even a minus rating, I would. Horrific. Adding onto this review 12/31/17. After wrestling with the website for an hour and having to receive FOUR password reset emails, I managed to change the PW and enter it into the app. I still can’t access the issues I paid for. It’s a supreme irony that CR, which supposedly is on the side of the consumer, has produced perhaps the most worthless app in the entire App Store. They should do an article on how bad this app is in the magazine. With no access to the app, though, I won’t be able to read it. Looking for an app that can alienate loyal customers? That's about the only think this app excels in. Doesn't save your id or password, doesn't rotate. You'd think what is basically a PDF reader couldn't be this weak....but you'd be wrong. Disgraceful that CU let this happen...they should check out useability of other magazine apps and give subscribers something competitive. Just to chime in with the rest. It seems the organization that claims to support the consumer is doing the opposite for its subscribers. It seems that you are trying to eliminate as many subscribers as possible. looks like you are going to be successful with me. I am an online member but this app doesn't accept my sign in. I'm a print subscriber and from my (old) iPad, I have access to all my issues. Reading, zooming, and book marking works as expected. Circular logins that hang. Programming "index.html fail message when the download bombs. For a consumer mag that criticizes others repeatedly then takes subscription revenue for this piece of crap should be ashamed. Don't waste your money. If there was something less than a single star rating they would get it from this sucker. UPDATE Haven’t changed my mind. Still is a piece of crap. UPDATE NOV 2018 Still garbage. Try to figure out how to renew - not sure why but don’t have a clue even if I did decide to renew. iTunes should stop this obvious abuse of subscribers. The irony of it being CR is beyond comprehension. Another update Does anyone have a clue as to what happened to the annual subscription? Is it now monthly only. As a subscriber this App is extremely disappointing to use. The App frequently forgets your credentials that are supposed to be saved in the App once you verify your paid subscription and set up your account, to allow a subscriber to access their subscription without having to resign into the App whenever you wish to access current or past issues. What makes matters even worse, the process to access your account then requires you to go through the "forgot password" steps which is flawed and fails to work, requiring a subscriber to call an "800" number to have customer service unlock your online account and reset your password. Consumer Reports has failed to acknowledge these issues or take any action to resolve the flaws in this App despite the numerous complaints of subscribers. I give this App a "Not Recommended" rating. If you prefer receiving a digital magazine subscription over print copies, you may wish to consider cancelling your subscription to Consumer Reports. It's even impossible to cancel. I've reset my password multiple times and each time it won't let me log in. Now I'm trying to cancel it and can't even do that. Updated. Months later, my review remains the same. If I was consumer reports and rating this product, it would be a do not recommend. Take a moment, remind yourself you are not a bank that needs multiple levels of authentication each time, and simplify this process. Come on CR. You can do so much better. To say this as direct as possible, digital products from CR are "not recommended" by this user. Specifically, the authentication process is flawed again in this release. If you purchased CR Digital at ConsumerReports.org for $35/year, you will NOT be able to use the iPad app without a print magazine subscription. Sure, you can access it through your mobile web browser...but what's the point of saying "digital" when you can't access the app itself? If I input my email address and password, I should be able to view the CR Magazine on my device's app without having to pay an additional $12/year for a print subscription. I'd give zero stars if allowed. My iPad Pro has a bunch of apps that work great. This can't be secret information, yet CR has by far the worst app I've ever attempted (never succeeded) to use. It never let me sign in even after twice going through a ridiculous print subscription verification that never worked. I tried sending customer support an email, and even that failed! Come on CR: do or do not-there is no "try"
Can only access recent issues. Have to log in each time. Annoying to scroll. I'm a CR subscriber and the claim was that I would also have access to online CR by downloading the app. Wrong! The app does not allow me to log-in, despite trying to reset my password twice. Junk, junk, junk. Paid mag & online subscriber and still pay more?! So as paid print subscriber with an additional online subscription, I'm now asked to PAY for to read the magazines on my iPad?! Give me a break...flush this money-grab down the drain!! Oh...and if you do wish to use the iPad only for viewing CR, these developers decided that landscape mode is not necessary which is either lazy or inept or both. Any idea why I need to log in every time I use the app? It should remember me. My device is pretty secure already... I need to give the code to unlock and the thing is encrypted so I can't imagine why I need to log into a magazine app all the time. Please fix. Well, to start it simply doesn't work! After following the login steps, it is clear that the system doesn't realize that I'm a paid subscriber first, and secondly, doesn't recognize that I've already logged in. Could never get out of that loop. Last time I'll waste my time with it. May I ask who developed it?? Obviously, no one tested it before going live. The app should be pulled immediately and not brought back until it works. A horrible reflection on Consumer Reports and what you stand for. Honestly, I'd rather rate a zero but not available. I just wasted 20 minutes once again trying to sign into this App. I have now deleted it. Surely one of the least accessible Apps of all time! Just subscribe to the Mag if you need the info. I am sick and tired of having to resign in to my account EVERYTIME I want to read a issue! Followed sign in instructions, then had the privilege of having to do it again. All looked good then the app wanted me to do it again. That got the prolonged push on the app icon followed by tapping the shaking "X". Good riddance. Seems like CR would put some effort into getting this right. Been a print subscriber for 25 or so tears. Website is fine. The app is junk. Maybe they will rate their own app. I'm updating this review from 2013, but I'm still rating it 3 stars because the problems are still there. As many have noted, the app forgets credentials. No other app that I'm currently using has this extreme of problem. I just resubscribed to Money and after I reinstalled that app, it remembered me. CR doesn't remember me within the same day. If not for this problem, I'd rate the app 4 stars. Probably my main gripe is that the app, unlike the print version, has no review index. To me this just feels cheap. And I still feel navigation occasionally unintuitive. Stop asking me to log in every time ! I hate constantly logging in! This app is a complete waste of time. It used to work, but no longer. I have a valid membership into 2020 but every time I log in I get the same message “authentication failed”. Yes, it failed because the app is garbage! Shouldn’t even be in the App Store. Circular logins that hang. Programming "index.html fail message when the download bombs. For a consumer mag that criticizes others repeatedly then takes subscription revenue for this piece of crap should be ashamed. Don't waste your money. If there was something less than a single star rating they would get it from this sucker. UPDATE Haven’t changed my mind. Still is a piece of crap. UPDATE NOV 2018 Still garbage. Try to figure out how to renew - not sure why but don’t have a clue even if I did decide to renew. iTunes should stop this obvious abuse of subscribers. The irony of it being CR is beyond comprehension. I am a long time CR subscriber and love the details provided in their reviews. The app provides additional features not possible in the magazine (e.g., sliding for more information, additional photos, etc.). Like some, I have experienced issues with the app logging out, but this is a minor annoyance. I would like to see the app updated for landscape view since that is how I primarily hold my iPad. Until the app is able to allow a sign in that last more than an hour Apple should pull this app. And they continue to hound for $. Fix the app and I’ll write another check. Until then sorry. Once you paid for a subscription, wouldn't let you log in. I am glad I only signed up for a month. This app is a major disappointment. It hasn't been updated in what seems like 2 years. It still can't be viewed horizontally on an iPad. It always seems to log out when closing the app. It's a real pain to have to log in each time it's opened. FAQ says call Customer Service for questions and comments BUT the number changed 18 months ago. After reaching CR customer support they said they have nothing to do with the app and talk to Apple for comments. That was a real shocker. So that means no one at CR oversees digital and device apps? CR needs to wake and get their app in order! Does not accept my CR online password/user name for sign in. These folks are supposedly in the business of selling magazines but there’s no way to subscribe online from the app. How inconvenient. You need new marketing people imho. I've given a 1 star rating for all of the same reasons stated in previous reviews, that I've read. So I see no point in stating them again. I've been reading CR magazine for more than 50 years and have always enjoyed it and respected it's opinion. But, this app isn't up to CR's professed standards. Consumer Reports rates the quality of many products. Too bad that they can do the same for their iPad offering. Downloads of new issues fail to load. Can't even access past issues that I've already paid for. They've taken my money without delivering promised product. Shame on you CR! Most months, after the print issues are sent, you cannot access it with this app for two weeks or so but if you pay$4.99 you can read immediately. You have to pay $12 extra a tear but your ability to read new issues is crippled. I subscribed via the app for the digital version only and the app states you are able to do this under the FAQ section. But guess what, you can’t! So now I will have to get Apple to refund the fee I paid for a 1 yr subscription. What a waste of time this has turned out to be. I have never been able to get the app to work. Bought a subscription through ITunes. The app won’t recognize my subscription. Called Consumer Reports. They said to call Apple. Spent over an hour on the phone with Apple. Still can’t read the issues on my iPad. Next time I have an hour to spare I’ll try to get Apple to refund my subscription money! Jolly times. Like others have already stated you can't even sign in. Have no problem on my phone but says "authentication failed" when signing in.Apparently they don't feel it's important for people to be able to actually use this app on iPads since this problem still exists.